From new teachers to new friends, there are plenty of things to be concerned about as your child goes back to school. But even in the best schools there are dangers, often hiding in plain sight, which may surprise you. From infrastructure to classroom supplies, products in schools cause over 60 thousand injuries each year. Even though manufactures are doing their best to improve the safety of school products, this number does not appear to be dropping. Although most of these injuries are accidental, HealthGrove listed the potential dangers you and your children should be aware of. The experts at HealthGrove used data on product injuries from the U.S. Consumer Product Safety Commission to create school-product injury incidence charts from 1997 to 2014. The below chart shows incident rates in total. The list of the most dangerous products in schools is ranked by average number of non-sports related injuries in schools per year to help you understand what potentially dangerous products your child might meet on a daily basis. Supporting trend charts show how incident rates are changing over time. Children have much more sensitive skin than adults, and can easily burn upon contact with a hot surface. Although most schools have upgraded to central heating, some older schools may still be using space heaters, which can cause serious burn injuries. Irons and heaters cause an average of 1,931 injuries in U.S. schools each year. Not surprisingly, scissors are one of the most dangerous products in American schools, causing an average of 2,049 injuries annually. There are many online resources that can help you teach your children scissor safety. Check out an article by Earlychildhood NEWS that teaches children how to cut safely. Beware of tripping on stray backpacks! Luggage-related injuries total 2,054 incidents in American schools. Chemicals have warning labels for a reason. Each year in U.S. schools, chemicals cause an average of 2,688 injuries. Children’s feet are always growing, and it’s hard to keep them equipped with the right size. Keeping up with your child’s feet is important, as footwear causes 2,691 injuries in American schools on average each year. Non-power tools such as hammers and non-electric saws are responsible for 2,923 average injuries in American schools each year. If your child is in an extracurricular course where he will work with these tools, make sure he understands how to use them safely. Biking to school might be the environmentally friendly choice, but not the safe one. Biking causes an average of 3,123 injuries at U.S. schools each year. Help your child stay safe by equipping them with the right gear, including a helmet, light, reflective gear and pads. Each year, power tools cause an average of 3,245 injuries in U.S. schools. If your child is exposed to these products, make sure he is wearing the correct safety gear and is aware of his surroundings when using them. Fences are sharp and pointy, and not made to be climbed. It is important to stay off of fences, as each year 3,318 U.S. school children are injured, on average. When it comes down to it, sharp knives do not belong in schools. Knives cause an average of 3,458 injuries in American schools each year. Help keep you child safe by packing his lunch with a plastic knife. Believe it or not, pens and pencils are responsible for 5,786 school injuries on average each year. Pens are for writing, not for horseplay. Poles have their way of sneaking up on the playground, as 5,847 pole-related injuries are reported in U.S. schools each year. It is important to have your wits about you if you are running around a basketball court. We’ve all seen the scene in a movie where a young boy is distracted by a pretty girl and walks straight into an open locker. This scenario may happen more often than we think, as lockers cause an average of 7,558 injuries each year. You are likely sitting on the No. 7 most dangerous product found in schools as you read this post. Chairs and couches are accountable for 10,669 average annual injuries in schools in the U.S. Many children lean or rock back in their chairs during class, causing them to break. To help ensure your child’s safety, make sure he exercises good posture when seated. There are few things more painful than slamming your hand in a door, especially the heavy industrial ones found in schools. Each year, doors cause an average of 13,402 injuries in American schools. Your child can protect his fingers by keeping them far away from the door. Walls and ceilings are hard to avoid. Harmless as they might seem, the U.S. Consumer Product Safety Commission reports an average of 16,614 injuries in schools due to walls and ceilings each year. Your children running around and playing with their friends is fine, just try and move the activities outside. From broken toes to slammed fingers, furniture (excluding beds and chairs) is responsible for 20,664 average injuries in schools per year. Make sure all fingers and limbs are accounted for before slamming down the top of your desk or shoving two tables together. We’ve all fallen down (or up) stairs in our lives, so it is no surprise that an average of 24,482 injuries are reported in U.S. schools each year. Slipping down a flight of stairs cannot only bruise your ego, but can cause many serious injuries. Help your children avoid fractured bones and head injuries by teaching them to take the stairs slowly and cautiously. Teachers know what they are talking about when they yell, “Slow down, no running in the hallway!” Carpets, rugs, and other flooring rank as the No. 2 most dangerous products in American schools, causing a whopping average of 26,758 injuries each year. Children should be cautious and follow the rules when moving through their schools to decrease their risk of slipping, tripping or falling. Playground equipment is the top culprit of school injuries in the U.S., causing an average of 60,008 annually. From climbers to slides, children are injured on playground equipment at schools over two times more than any other product. 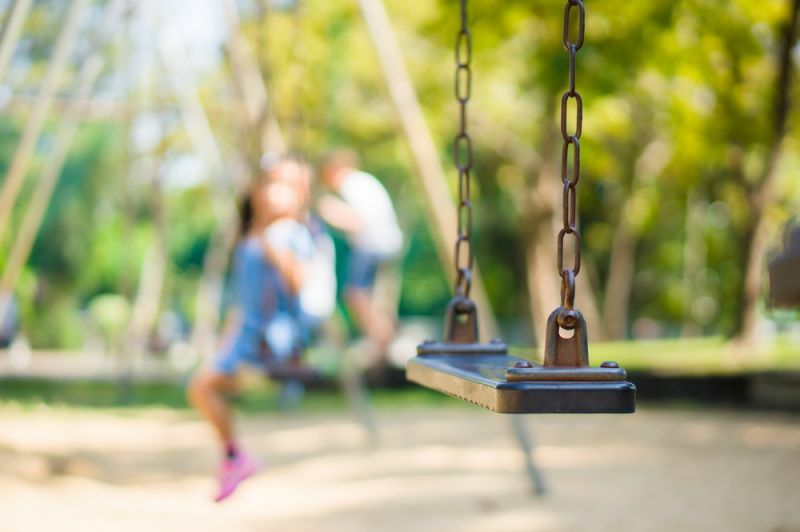 Surprisingly, the U.S. Consumer Product Safety Commission found that girls actually sustain more injuries on playground equipment than boys do.